Prescient, a Denver-based startup by a group of property developers, is taking a modeling and manufacturing approach to decrease the mistakes they’ve witnessed in developing multi-family residential housing. The developers have applied their experience of repeat on-site problems to instill automation through standardization, to customize modeling software around manufactured steel components, and to build a factory complete with robots that churns out these components. 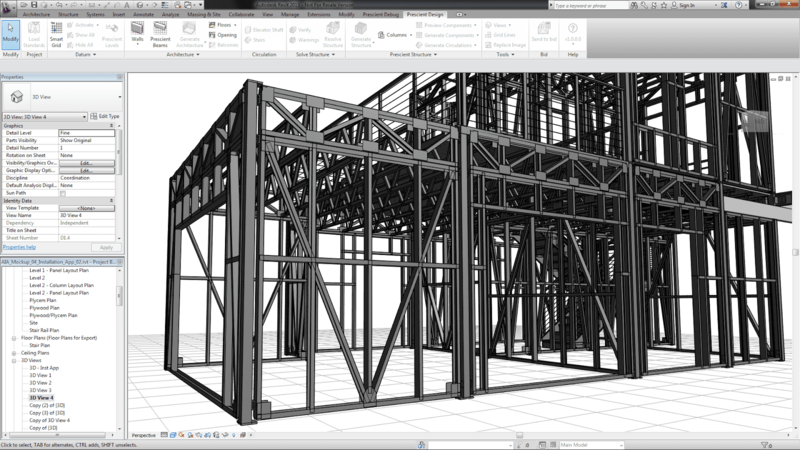 The process starts with a Revit plug-in that makes it easy to design based on the two dozen steel panel and truss components in the library. The panel and component approach is good for buildings up to 12 stories tall, and ideally situated to apartments, dorms and hotels. The integration with Revit ensures a BIM-based approach for modeling and collaboration prior to assembly. The model holds the information of the precise location of each part, which are manufactured and then tagged with a QR code for quick assembly onsite by workers that will access the code and location through a mobile application. The components are churned out of cold-rolled steel at an automated manufacturing facility with precision, including the use of robotic welders such as those used at automotive plants. The use of steel in this automated fashion reduces waste, and eliminates time consuming job-site modifications. The first manufacturing facility in Denver has achieved less than one percent waste, while speeding the construction times at lower costs. The system is ideally suited for buildings of eight floors or higher as you can’t use wood construction for buildings of that size, and it beats the economics of concrete post-tension slabs that require curing time. Installation is also a cost saver as skilled labor isn’t required for assembly. 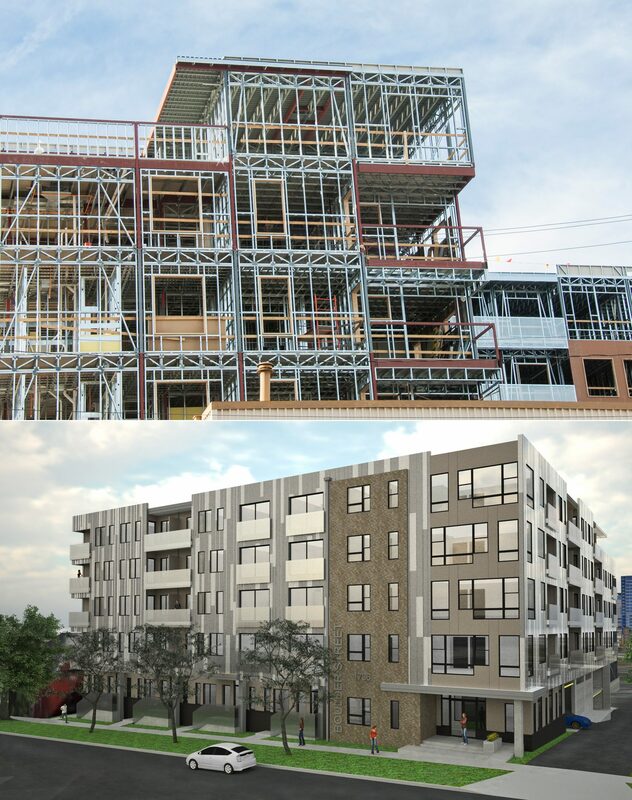 Components of the structural system can be seen in these photos of the B Street LoHi building. The Prescient system has been used on three Denver-based buildings, with eight more underway. The system has been tapped for the construction of a dormitory at Lackland U.S. Air Force Base in San Antonio, and with this project there are plans for an additional manufacturing facility in Houston, Texas.